It is claimed by some to be the largest bird sanctuary in Asia. However Bharatpur Bird Sanctuary, now known as Keoladeo National Park is considered the largest in Asia. 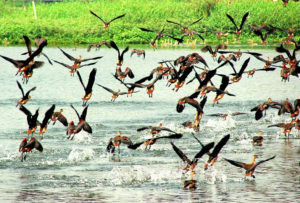 Rasikbil Bird Sanctuary can be approached by road, air and rail. If you are traveling by your own vehicle then National Highway is the connector for you to reach either Alipurduar or Cooch Behar. Otherwise, government buses of Bhutan, North Bengal State Transport and private buses and taxis are available to arrive at Rasikbil. If you take the bus from Cooch Behar then you will arrive at Rasikbil within 2 hours via Toofanganj. Alternatively, disembark at Kamaskshaguri station which is only 6 kilometers from Rasikbil Bird Sanctuary. Other than this particular station, you can get off at New Jalpaiguri, Alipurduar and Cooch Behar station as well and hire cabs from there. Flight travelers will arrive at Bagdogra airport and hire cars/taxis to arrive at Rasikbil. Rasikbil Nature Resort maintained by the forest development corporation of West Bengal is the best place to stay. It offers cottages and dormitory accommodation facilities. The rate is 900 INR and you must reserve the place prior to your arrival. Food is also available here and the price is included in the rent. Rasikbil Bird Sanctuary offers a serene environment to the visitors. Expect for the chirping of birds which will ring like music in your ears no other sound will disturb the blissful peace. 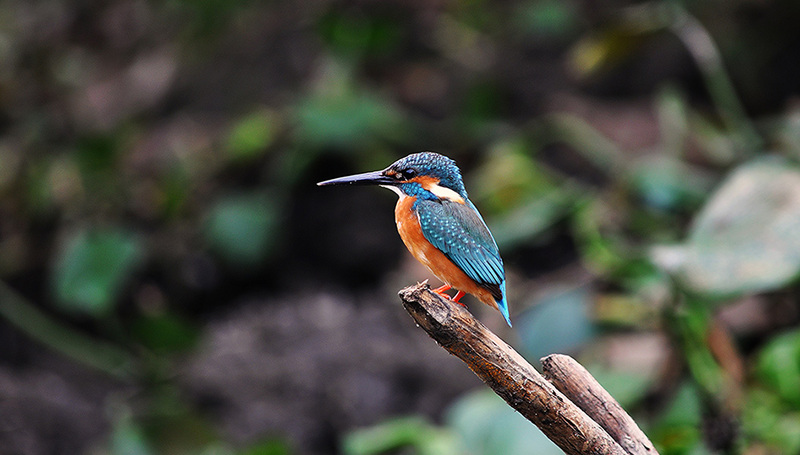 Both local and migratory birds can be viewed at Rasikbil Bird Sanctuary. Usually birds like ibis, kingfisher, owl, storks of different verities, cormorants and spoonbill can be found in and around the lake. Apart from these famous water birds like Wigeon duck, Grey Headed Lapwing, Shoveler, Pintail, Red Crested Pochard, Lesser Whistling Teal, White Eyed Pochard and Common Teal can also be spotted here. This is a bird lover’s heaven and you must be ready with your camera. Apart from bird watching you can also visit the Cooch Behar Palace and Madan Mohan Temple and also Alipurduar and Buxa Tiger Reserve which is a short drive away. This entry was posted by indispottravel in Bird Sanctuary in West Bengal, Kooch Behar, Lakes in West Bengal, Picnic Spots in West Bengal, West Bengal and tagged accommodation in Rasikbil Bird Sanctuary, accommodation in Rasikbil Nature Resort, attractions of Rasikbil Bird Sanctuary, Buxa Tiger Reserve, cars availability at Rasikbil Bird Sanctuary, Cooch Behar Palace, distance of Rasikbil Bird Sanctuary from Alipurduar, distance of Rasikbil Bird Sanctuary from NJP, distance of Rasikbil Bird Sanctuary from Siliguri, dooars, dooars in west bengal, doors north bengal, dours tour, Forest, hotels in Rasikbil Bird Sanctuary, how to go to Rasikbil Bird Sanctuary, how to reach Rasikbil Bird Sanctuary, jungle, Madan Mohan temple, nearest railway station of Rasikbil Bird Sanctuary, north Bengal, Rasikbil Bird Sanctuary, Rasikbil Bird Sanctuary attaractions, Rasikbil Bird Sanctuary locality, Rasikbil Bird Sanctuary location, Rasikbil Nature Resort, room availability at Rasikbil Bird Sanctuary, room rent at Rasikbil Nature Resort, room rent in Rasikbil Bird Sanctuary, staying options in Rasikbil Bird Sanctuary, taxis availability at Rasikbil Bird Sanctuary, travel time to Rasikbil Bird Sanctuary, wildlife sanctuary.